Hundreds of Northamptonshire roads will be gritted once more as the council has performed a U-turn on its controversial policy after severe criticism. This morning (Tuesday, February 5), council leader Matt Golby announced the 411km of roads removed from the precautionary gritting network will be reinstated. 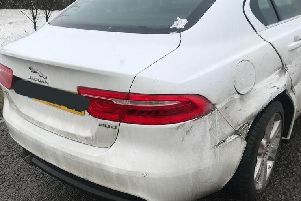 The leader had faced calls from fellow councillors and residents to think again about the cost-saving policy after a number of reported accidents over the past few icy weeks on ungritted roads. Cllr Golby said it was his personal decision to make the about-turn and that no other services will suffer as a result of a boost in road gritting. He said the service would return ‘as near as damn it’ to the previous levels. “There was a clear message coming through and I have listened to that call. It is our job to listen. We don’t always have the luxury to be able to to that,” he said. Cllr Golby said with a couple of months to go the authority was ‘very close’ to balancing this year’s budget and that the money to grit the roads would not come from the capital flexibility granted by the Government to the authority. He added that he did not regret having cut the service in the first place because ‘difficult decisions had had to be made’. The councillor said the issue had been discussed at the Conservative group meeting last night and there was support from his colleagues. He had also run the matter by the chief executive Theresa Grant and the two commissioners overseeing the council. 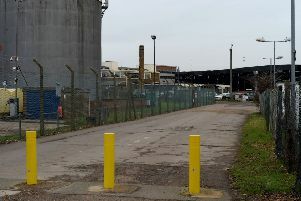 There have also been talks with Kier WSP which has the winter gritting contract and he said final arrangements were being made. But Cllr Golby could not confirm that there were will not be changes to the gritting service for next winter announced in the final 2019/20 budget papers which will be made public tomorrow. The plan to cut back the amount of roads that were gritted were first announced in autumn 2017 and have faced severe opposition since then. The council rejected calls in October by Labour, Liberal and independent councillors to think of another way to make the £475,000 savings. They said the move would risk the safety of road users. Northampton Labour councillor Gareth Eales said: “It is a victory for common-sense and people power. “However, I cannot possibly tolerate the spinning of this U-turn as a friendly or charitable gesture on the part of the Conservative council. The cuts to winter gritting were made only in October of last year, despite mass opposition. Northampton businesswoman Jo Mumford, who started an online petition, said: “I am pleased to hear that the county council have finally listened.